Houseplants are definitely having a moment, and hopefully it’s a long lasting one given the many health benefits they provide. 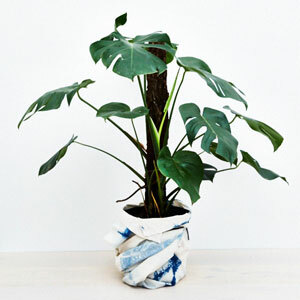 Rebecca Gross rounds up 11 gift ideas that will turn plant-lovers green with envy. 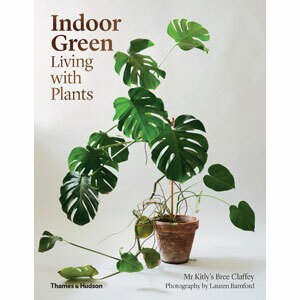 Why we love it: Indoor Green: Living With Plants is a beautiful hardback coffee table book that takes readers through plant-filled homes, studios and shops. Authored by Mr Kitly’s Bree Claffey with photography by Lauren Bamford, Indoor Green is packed with extensive knowledge, inspirational finds and practical advice. 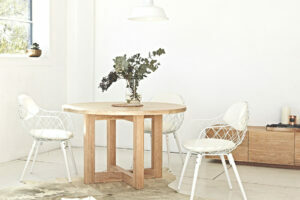 Post-Christmas, readers will certainly be visiting their local plant shop with creative ideas for greening their abode. Why we love it: Not since the 1970s have hanging houseplants been so popular, freeing up floor and surface space and adding luscious green touches all around a room. 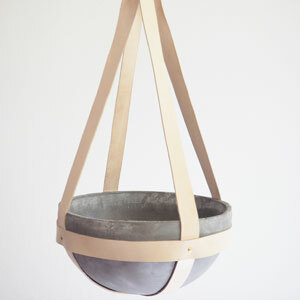 MRD Home’s planter combines the raw, refined beauty and simplicity of concrete with blush leather and will look beautiful with Devil’s Ivy (Golden Pothos / Epipremnum aureum) curling around its straps and draping over the edges. Why we love it: Richard Carlson’s 1980s classic of the plant world is back with thanks to Mr Kitly in collaboration with Decor. 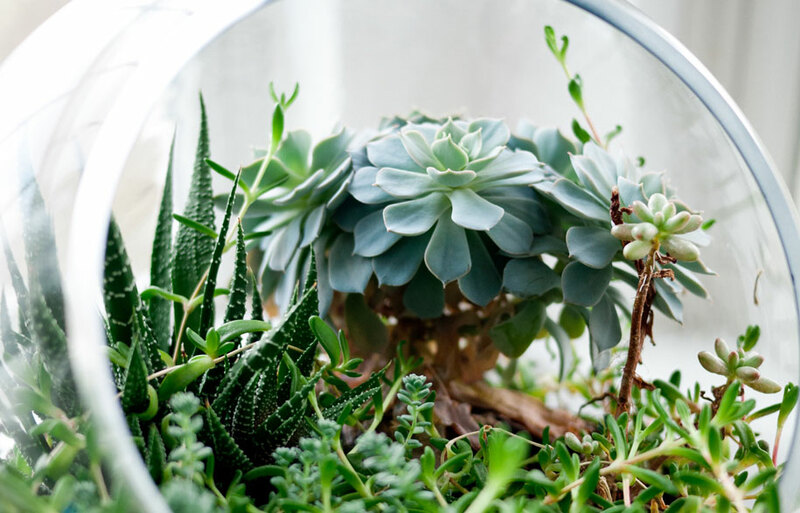 The self-watering plant pot is simple to use and will tempt all those dabbling with indoor plants: just add water from above for the first few days then top up via the water well below as needed. 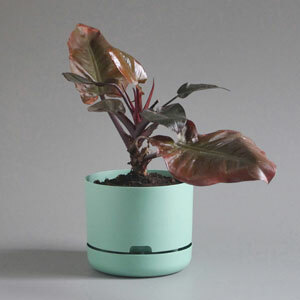 The minimalist plastic pots are available in four colours. 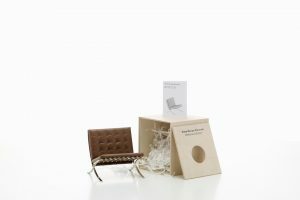 Why we love it: Jacqui Vidal and Alana Langan are the long-time friends behind Ivy Muse, designing beautiful plant stands made locally in Melbourne. 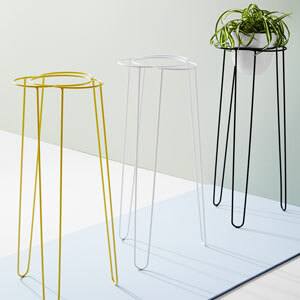 The Daisy plant stand is part of their Calypso collection, which features striking shapes, patterns and colours. Set a Hoya Heuschkeliana in the top and its beautiful leaves will trail down the side. Why we love it: Based in Melbourne’s inner west, Grafa’s Travis Blandford handcrafts a distinctive range of gardening tools in new and recycled copper, bronze and timber. 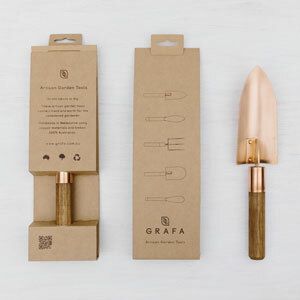 In materials beneficial for the soil and designed to connect hand and earth, Grafa tools will serve both gardens and gardeners well for many years to come. Why we love it: A plant is a gift that keeps on giving adding colour and life to a home as well as improving air quality and plant-owners’ moods. The Plantarum offers a bespoke plant-oriented service with lots of “easy-going plants” to choose from. Wrapped with natural hand dyed indigo cotton, The Plantarum’s selection of plants are good to go for Christmas day. 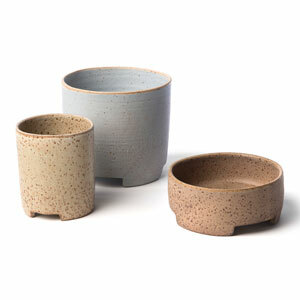 Why we love it: If you’re shopping for someone with a great appreciation for the textured look and feel of pottery then Sophie Moran’s handcrafted ceramic pots are plant- and present-perfect. Working from a private studio in Collingwood, Melbourne, Sophie makes planters in simple, functional and timeless forms with a soft colour palette to complement the potted plant. Why we love it: For landscaping and design enthusiasts, 30:30 Landscape Architecture by Meaghan Kombol showcases contemporary landscape design from around the globe. 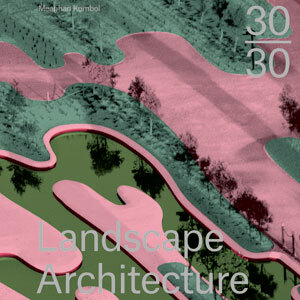 30 renowned and influential landscape architects explore the work of 30 next-generation landscape architects, divulging their inspirations and design processes and debating key issues. Why we love it: Add a lot of lush greenery to a balcony or garden with a vertical garden or green wall. 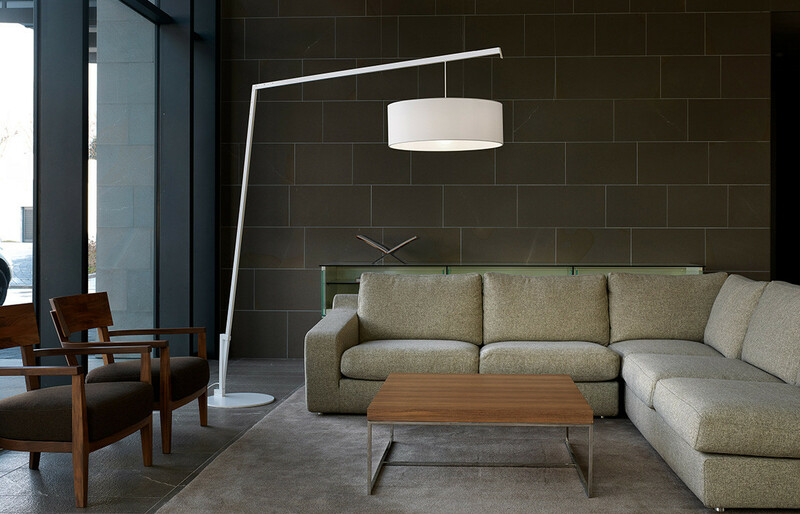 SkALE Greenwall’s easy-to-install system is made up of lots of individual pieces joined together for a customised size. 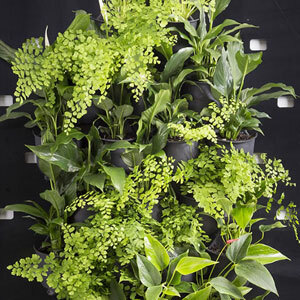 Fill with herbs, succulents or plants to create a personally-tailored green wall. 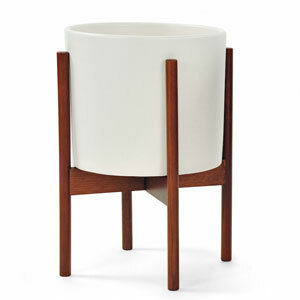 Why we love it: Modernica’s Case Study Planter originated during the prolific design period of the 1950s and 60s and combines the modernist aesthetic with the notion that ‘good design’ should be available to all. A cylindrical ceramic pot nestles into an elegant wooded frame for a classic yet fresh addition to the home. 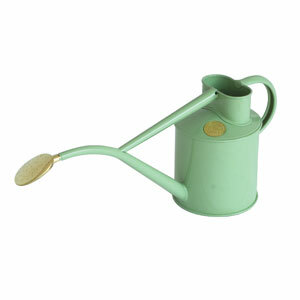 Why we love it: Handmade in the UK, Haws is the dedicated gardener’s watering can of choice. Made from galvanised sheet metal with a powder-coated finish (in sage, duckegg blue, cream, green and burgundy), Haws Watering Cans have an elegant design with curves in the all right the places.